Dr. Daniel Hanson is a native of Minnesota and has been practicing as a spine surgeon since 2004. Dr. Hanson provides clinical assessment and treatment for all patients with spine pathology and works closely with the pain management specialists at Midwest Spine & Brain Institute to provide the most effective treatment plan for the patient. 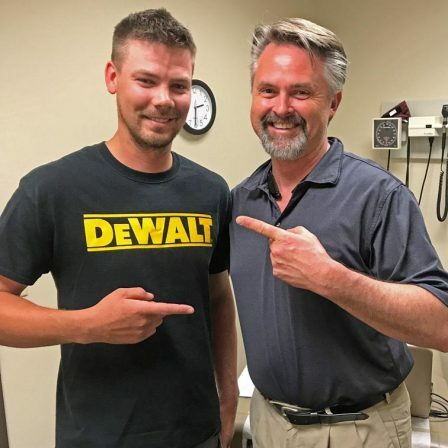 The empathy Dr. Hanson has for his patients is partially based on his personal experience with the challenges of a spine injury resulting in surgery as well as recovery from several disc herniations using conservative non-surgical treatment. In his free time, Dr. Hanson enjoys spending time with his 3 children, hiking and playing guitar.